As business entities, we've developed separation of duties establishing the highest level of functional efficiency possible. We specialize by purpose: Accounting, Selling, Support, Production are separate yet interlaced. This model works. The stronger our separate functions perform the better for the organization. Unfortunately, this strength turns into a weakness. "ATLAS saves us hours of valuable time every week locating and tracking vehicles in our dealership..."
Silo’s of data evolve into formidable barriers of communications. For those of us tasked with managing the ever expanding landscape of IT assets, collecting the necessary data from all our tools can be time consuming and vulnerable to human error. Wouldn’t it be grand if you could cross-reference databases within your organization, distilling raw data into actionable information on a single pane? Introducing ATLAS - One-Touch Asset Management. 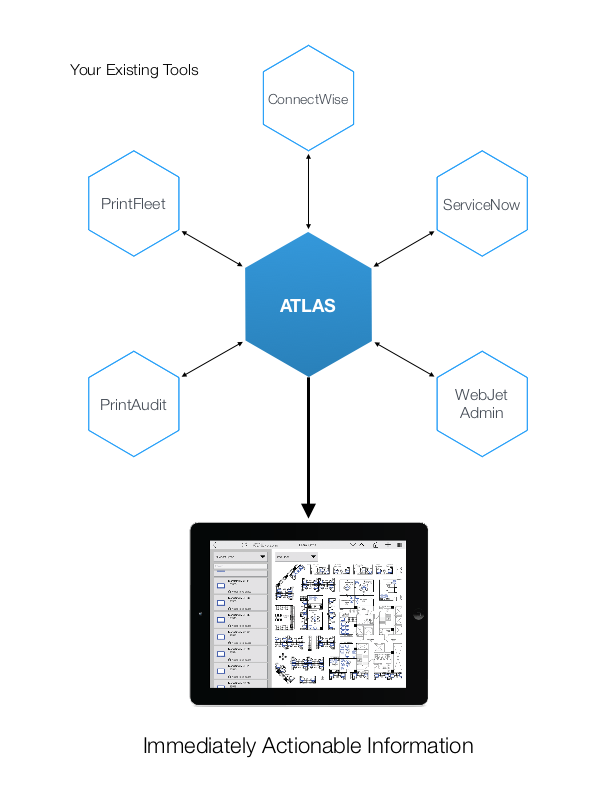 ATLAS delivers YOUR data, from multiple sources, the way you wish to see it. The concept is simple. The deliverable is simple. The method behind the glass, sophisticated. Join us for a brief discussion around this easy-to-use yet powerful tool designed to work with your existing tools. Our next webinar is, March 24th.